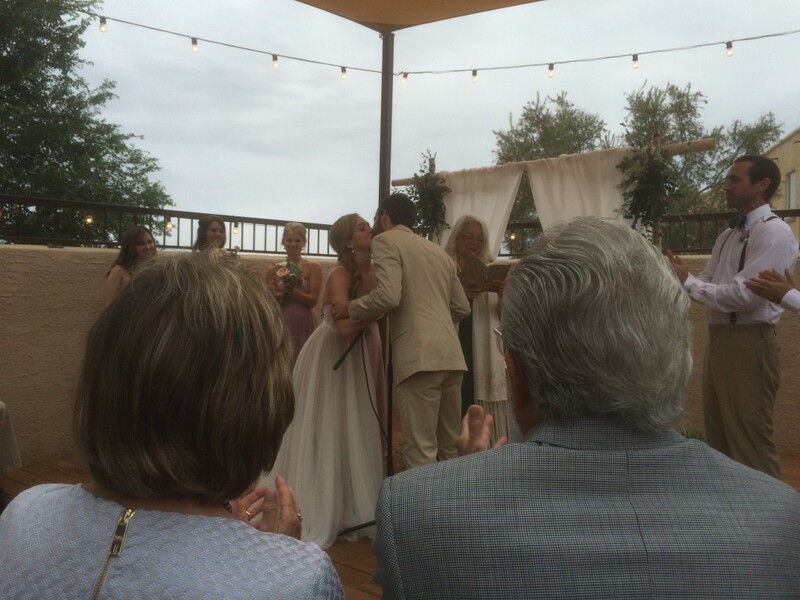 Wedding bells down in Mesilla, New Mexico! I hopped a flight (9/18/15) out of Salt Lake City down to El Paso, Texas where I rendezvous with my family before heading into New Mexico. Having been away from home for so long, it was awesome to see everyone, and I was certainly thankful for the energy boost I got from them. The circumstances of our meeting compounded that excitement. My cousin, Ryan, and his wife, Melissa, were married on September 19th in the town of Mesilla, New Mexico! I drove through Mesilla’s parent city, Las Cruces, on my way east in early February without giving it a second thought. It was a shock to discover how much fun the area turned out to be. We drank, we laughed, we got kicked out of a bar -> it was the absolute best of times. So if you’re ever in the area, check out the Mesilla Farmers Market or go enjoy some cowboy class at Vintage Wines. It just goes to show me how cool a place can be if I take the time to stop and smell the rosas. I got home from Santa Fe Friday. A couple of house-related emergencies captured my immediate attention (failed landscape irrigation control among them–a disaster in triple digit temperatures here). So I’m late getting caught up on more important things. The wedding and a chance to talk with you and other members of the Bell/Foullon/Zantos clan were certainly highlights of my week-long adventure. Please keep me posted on your much larger adventure trail! It was great talking with you and I look forward to learning what you are discovering in your amazing travels. Shoot! I hope your yard bounces back! I agree, I had a blast talking with you too. We’re fortunate to have such a close family.